The K-Pop band are expected to see their first feature film release next month! BTS is set to move from the concert stage to the big screen in its first feature film, Burn The Stage: The Movie, which has a selective film screening premiere on November 15. The Korean-pop boy band BTS - Bangtan Sonyeondan or "Beyond the Scene" - rose to international fame in 2016. It has completed two world tours and released two successful albums, including "Love Yourself: Tear" which became the first K-Pop album to hit number one on the Billboard 200 albums chart. BTS' "Love Yourself" world tour launched this year with extra dates being announced including over 40 performances in 20 cities worldwide. They performed at New York's Citi Field Stadium, another first to be completed by the band. The group is now moving through Europe before going onto Asia. 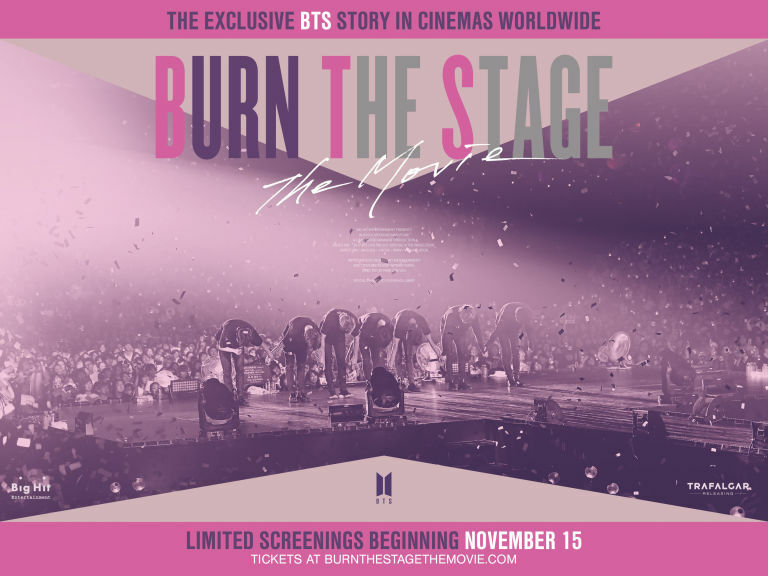 "Burn The Stage: The Movie" follows the K-Pop boy band during their 2017 "Live Triology Episode III The Wings" tour, which drew more than 400, 000 fans across 40 performances in 19 cities. The film will feature live performance footage, behind-the-scenes glimpses and exclusive new interviews with band members RM, Jin, SUGA, j-hope, Jimin, V and Jung Kook. It has been announced that the film will see a limited release in participating theaters worldwide, with ticket's being available to purchase on the film's website. ARE YOU A FAN OF BTS' MUSIC? WILL YOU BE WATCHING THIS MOVIE?